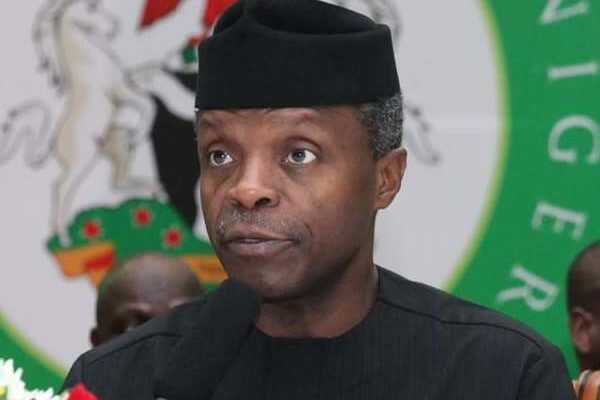 The People’s Democratic Party (PDP) has challenged Vice President Yemi Osinbajo to show Nigerians the scorecard of the three years of the Muhammadu Buhari administration, instead of bandying figures of debts incurred by the past PDP administration. The opposition party asked the Vice President to desist from “peddling rumours” in an attempt to cover the rot and failures of the present administration. In a statement Tuesday by the spokesman for the PDP, Kola Ologbondiyan, said, instead of juggling figures and making false claims about the nation’s debt profile. The statement said, “It is already a settled fact that the nation’s debt profile escalated under the profligate, uncreative and incompetent Buhari administration, which crippled our once robust economy, pushed it into recession, turned our nation from a growing economy to a debtor country and world’s poverty capital. “Despite being busted, Vice President Osinbajo is labouring to deceive Nigerians by converting domestic borrowings in Naira, under the APC, to US dollars, so that the very high exchange rate will make it look smaller in dollars. “This is despite verified figures even from agencies of government showing an accumulation of 29.6% debt under Buhari as against the 20.14% under the Yar’Adua and Jonathan administration and the 0.44 % under the Obasanjo administration. “Nigerians are therefore alarmed that Osinbajo, as a Professor of Law, cannot guarantee productivity, credibility, transparency and honesty in governance, but has rather allowed himself to be turned into a vendor of propaganda and false claims for a corrupt administration, now hanging on straws. “Prof. Osinbajo is reminded that he is the head of Buhari’s bungling economic team and should therefore, not in anyway, parade himself as if he has no blame at all in the manifest failures of this administration. “What Prof. Osinbajo has refused to come to terms with is that Nigerians already know that the Buhari administration, wherein he is a major actor, is the most corrupt in the history of our nation and that no amount of concealments, propaganda and false claims can erase that fact. “Furthermore, Nigerians are no longer swayed by Prof. Osinbajo’s homilies and lip service to fiscal federalism, which he is now mouthing, just because the 2019 general election is around the corner. “Instead of lending himself to be used to beguile Nigerians, Prof. Osinbajo should use the remaining days of the discredited APC administration to advise himself and President Buhari on life after office, especially as leaders, who manifestly failed their people, when they trusted them the most”.